Six have been arrested in League City on prostitution charges and seven face charges for Occupational Code Violations after League City Police shut down six massage parlors, it was announced Thursday, Jan. 28. Over the past four months, the League City Police Department Community Impact Unit has been proactively investigating a number of local massage parlors after receiving a tip alleging a local massage business was promoting prostitution. The Unit is a proactive investigative group within the department equipped to manage prolonged investigations within our city. Working closely with other city departments to eliminate these types of businesses in our community, as well as, develop increased safeguarding measures, the six massage parlors were closed due to the investigation. “We are invested in the economic growth and community well-being here in League City. As our city grows and continues to attract new residents and successful businesses, we remain dedicated to ensuring all businesses are operating within the allowances of the law,” Assistant Director of Development and Planning Richard Werbiskis said. The investigation ultimately led to 14 code violations, four charges of prostitution, and two charges of Aggravated Promotion of Prostitution. “One of the reasons people choose to live in League City, is that our agency doesn’t overlook important issues. The men and women of our department work everyday on behalf of our citizens to keep our city a great place to live, work, and shop,” stated Sergeant Stephen Antley who leads the department’s Community Impact Unit. 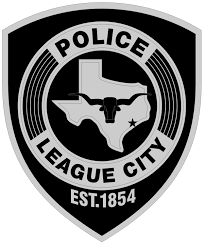 The League City Police Department said it is grateful for the following partnerships that led to the success of this investigation: Houston Police Department, Harris and Galveston County District ATtorney’s Offices, U.S. Immigration and Customs Enforcement Office, Texas Department of State Health Service, the City of League City Fire Marshall’s Office, Code Compliance, and Building and Permits. “The investigation was truly a joint effort,” a spokesman added.